Whether you are a trackday regular or a complete novice, Edge Sporting Events can cater to your on track needs. 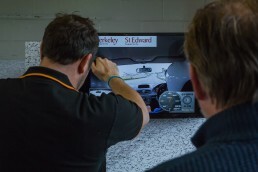 With over 20 years combined motor racing experience, both on and off the track, Edge sporting events will guide you through their bespoke driving academy. With some of the most successful and talented British racing drivers sat next to you passing on their ‘trade secrets’ in a clear, concise manner, you will walk away from a trackday with Edge relishing the experience. Edge trackdays offer far more than being pushed hard beyond the limit of the driver and the car. We intend to pass on reliable and valuable driving techniques, as well as car set up, race craft and tuition. Personal one to one tuition is available in your own car, or one of the EDGE Sporting Events fleet of cars. 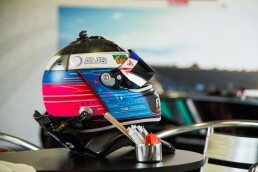 We will organise the whole day, from booking the track, to hiring your helmet. As well as one to one tuition we also organise and run larger corporate style trackdays. This is a fantastic way to say thank you to those all-important clients, or for a group of friends to learn track skills and enjoy a great day out. Our trackdays are not solely based within the UK, we are also taking bookings for Spa, Nurburgring other prestigious European racing venues.